Tasmanian-bred junior fitness guru Sam Wood, 34, has been revealed as TEN’s new Bachelor for 2015. He is founder of Melbourne-based children’s health and fitness company, Gecko Sports, offering after-school programs, parties and excursions and holds a Bachelor of Applied Science. He follows in the footsteps of former Bachelors Tim Robards and Blake Garvey, who both ended their seasons with contrasting results. “Being the Bachelor is a real privilege and a once in a lifetime opportunity. I plan on embracing the experience with an open mind, while wearing my heart on my sleeve,” Wood said. Host Osher Günsberg, said: “Sam’s the kind of guy any man would want to be mates with. His down-to-earth approach to life and charming smile conceal a driven businessman, someone who has worked hard to build a great life for himself. Production is currently underway in Sydney but TEN is yet to announce an airdate for the series. 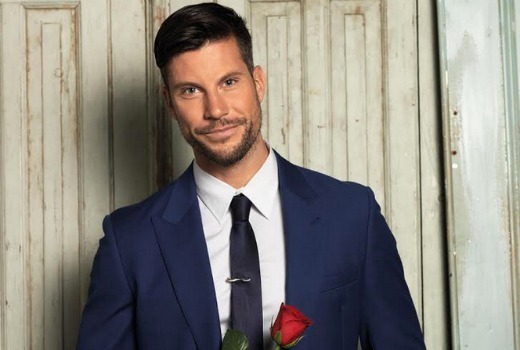 TEN will also screen The Bachelorette later this year. Not only TEN getting wood. man! This is the first time I can honestly say I know somebody famous! I go to the gym upstairs (Gecko is downstairs) and known the guy for years! Good luck to him and hopefully he can avoid the negative press the other bachelor had. He’s cute. Wouldn’t mind dating him myself, but good luck to whoever dates him. He looks a bit weird, Andrew G is better looking. but he doesn’t have a dodgy stripper background – how did he make it through the auditions ? Will be interesting to see how this one plays out after the drama of last season !!! There’s only one way I could read that headline. Maybe i just have a dirty mind. He does look cute. It’s pretty clear the inuendo was deliberate.